My first visit to Chail was way back in 2000 with Seshadri. 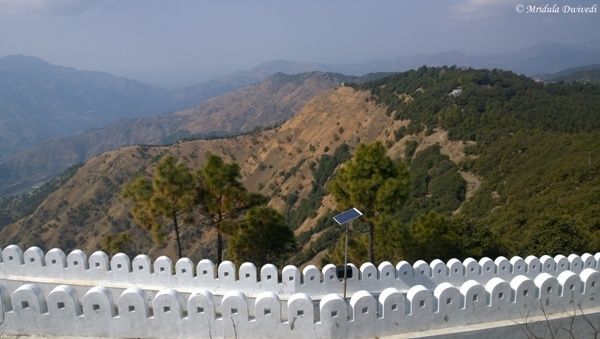 While coming back from Fagu, we took a small detour again to Chail. 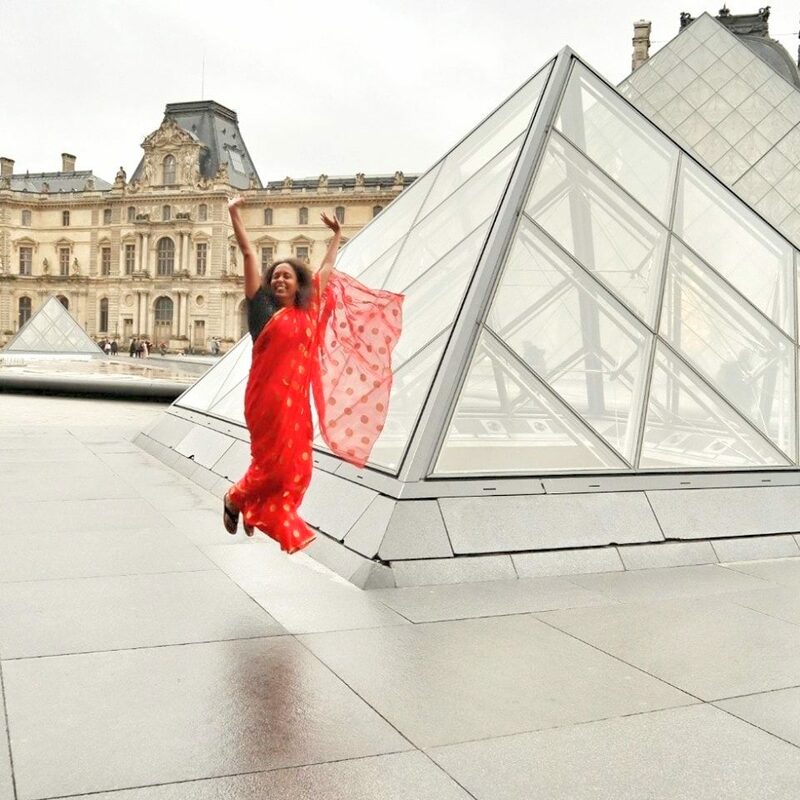 This time it was with Chhavi and 15 years have passed in between! However, Chail retains its sleepy town ambience. 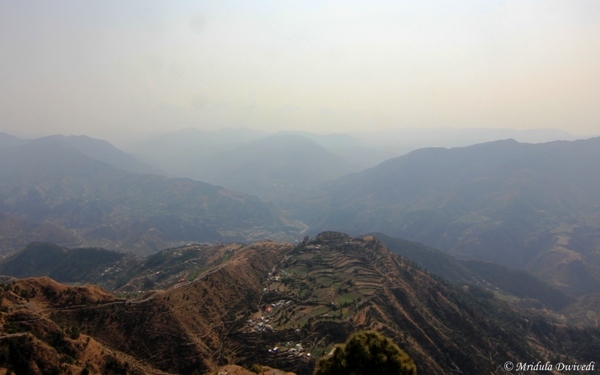 I was able to see only two places, the Chail Palace and Kali ka Tibba. I had not seen both the attractions on my last trip! That trip in 2000 was more about walking around the place over a few days. 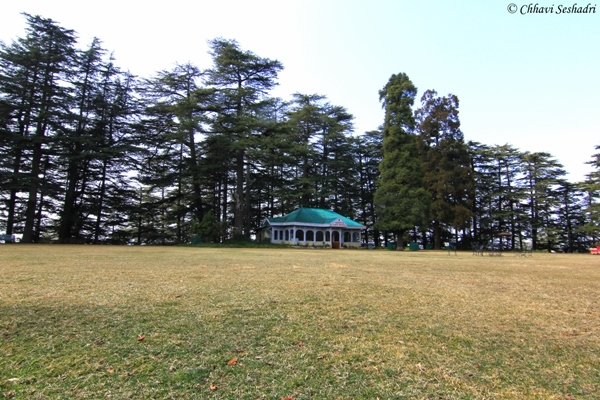 The Chail Palace was built as a summer retreat by Maharaja of Patiala. It is now run as hotel by HPTDC. One can visit it even if one is not staying there by paying an entree fee of RS. 100. Children get to enter free. 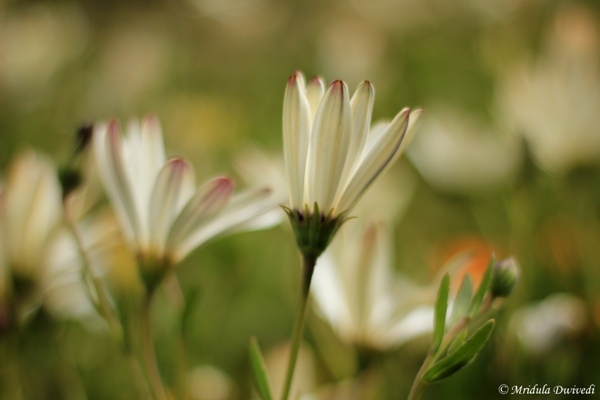 It has huge grounds and lovely spaces. I would actually like to go back and stay there sometime. 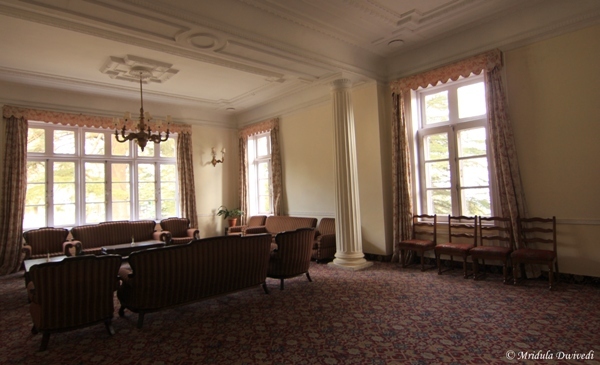 Chail Palace was also the place where I dropped my wallet to the last card, only to find it back! I still shudder to think what would have happened if I didn’t find it back! 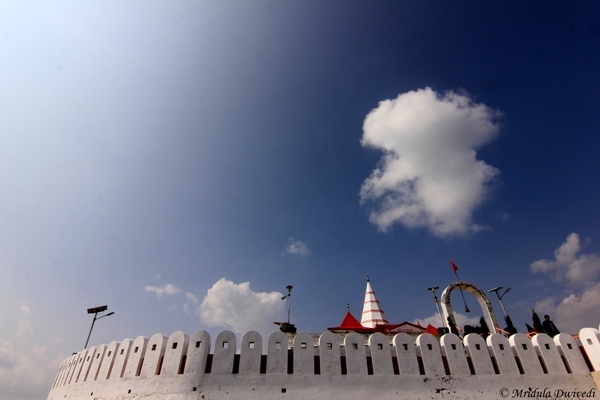 Kali ka Tibba is a temple devoted to Goddess Kali which is over the top of a hill at Chail. The views from the temple are quite beautiful. The day we visited the temple it was not crowded. Also the persists at the temple were not pushy at all. They would let you be and give any offering only if you wish to. I like such places. After spending sometime at the temple, we headed back to Kalka to catch our train. We decided to have lunch at Dharampur. But fate had other plans. As it was Shivratri, the temple near Dharampur was organising a mela (festival). There were so many pedestrians on the road that it caused a massive traffic jam on the narrow road! It took us 45 minutes to cross 3 kilometers. We were quite late already so we had to skip the lunch in the end, as it was preferable to taking the risk of missing the train! We did reach in time to catch the train and grab a quick bite at Kalka. I am quite pleasantly surprised that Chail is still a sleepy town even after 15 years! I really wish to go back and take a vacation there. Chhavi and I visited the Chail Palace on our way back from Fagu. Both of us were quite happy to potter around the huge lawn right next to the main premises. There was a toy train, a merry go round and a swing and you know what a treasure it is for a kid. However the toy train was stationary, the merry go round seats had water on it and Chhavi was not too fascinated by the swing as she has it at home too. We had ten minutes of bliss and suddenly things didn’t feel so right to me. I put my hand in the pocket where my wallet should have been, but it was simply not there, it had completely and utterly vanished with all the cards and money. The last time I took it out was for paying Rs. 100 as the entry fee to the Chail Palace. I thought I must have dropped the wallet in the car itself. I was trying to hurry back to the car but the kid would just not understand the urgency. I was near panic, usually I put away one ATM card in a different place but not this time. While I was asking Chhavi to hurry up, a hotel employee walked to me and asked if I was looking for something? I told him I managed to dropped my wallet somewhere. The angel told me that it was in their office, they knew it was mine because it had my photo id cards. The amount of relief I felt at that moment cannot be expressed in words. He told me that I had dropped the wallet on the porch right at the entrance of the hotel. He found it and deposited it in the office. The fool that I am, I first to dropped my wallet to the last card and then I did not ask the name of the angel who found it and gave it back intact to the last coin. I did try to tip him but of course they would not hear of it. 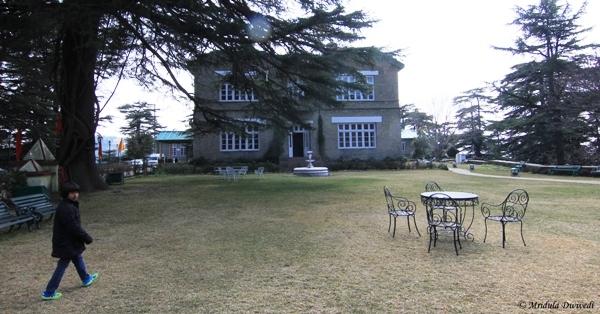 As a thank you I am going to go back to Chail and stay at the Chail Palace Hotel whenever I can steal a leave next.